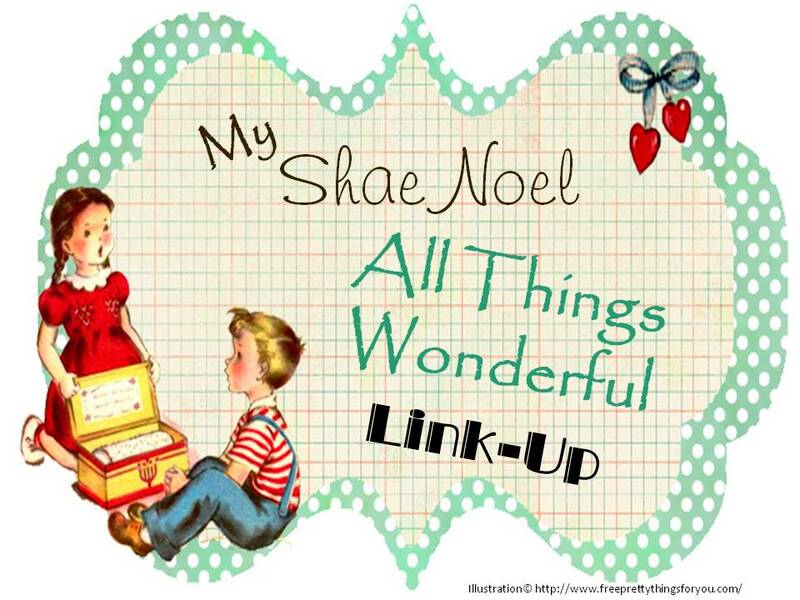 Each week before my "All Things Wonderful Link Up" party I highlight a blog/website that has linked up in the past. It could be someone from the current week or from a past link party. There are so many great blogs out there so I thought it would be fun to share them with you. 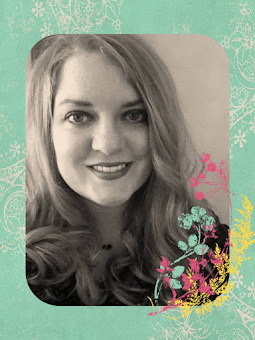 Plus, if you are highlighted, then you get to grab one of my "I Was Featured on My Shae Noel's All Things Wonderful" buttons to add to your blog. The featured button is located on my sidebar. Don't we all love a little recognition every now and then for our creative efforts? 1. 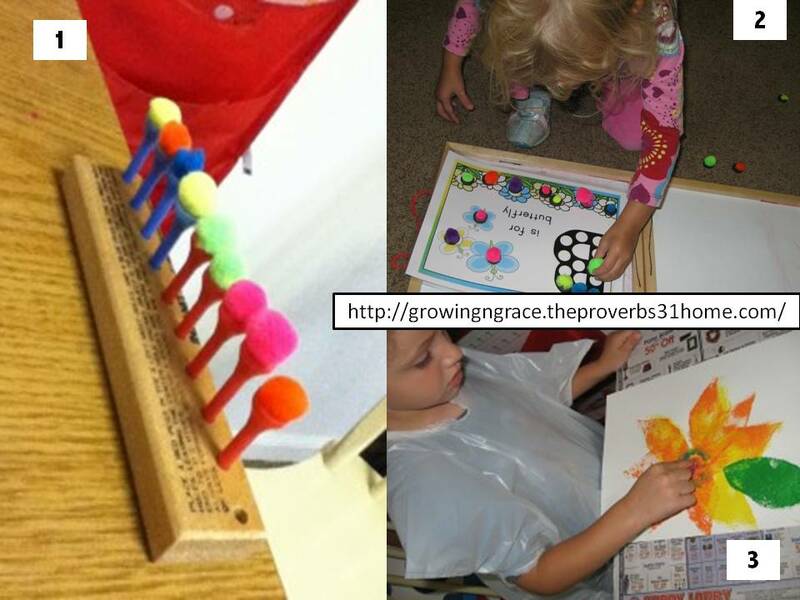 Click Here to be taken to the post where Tracy shows you a great fine motor practice idea of balancing pom-pom's on pegs. 2. Click Here to be taken to a post where Tracy shares a wonderful idea of turning pom-pom's into magnets and then using them with different learning activities. 3. Click Here to be taken to this blog post on how to make Van Gogh inspired sunflowers. 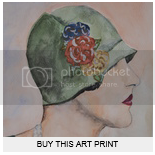 If you have read my blog for a while you know I love anything that has to do with art and books. Love! So head on over to Growing in Grace and have fun looking around. Now it is time for you to link up a "wonderful" post from your blog or website. Thanks to all that participated last week. Link up your favorite tutorial, something you have done with your children, a favorite recipe, DIY craft project, book review, decorating ideas, etc. Come join the fun every Wednesday. Link up to this post, and let us know what is going on over at your blog. This link list will be active until Tuesday evening. 4. 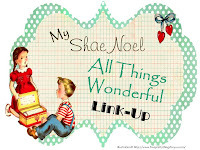 If you want to make my day, you could always follow my blog and/or include my "All Things Wonderful Link Up Button" to your post or somewhere on your blog. 5. Try to stop by and visit someone who has linked up before you. Thanks a million!